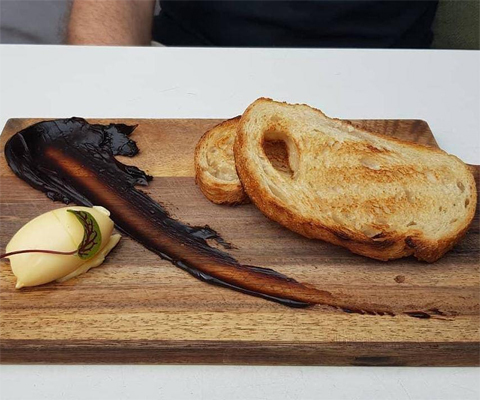 A story that started over in Australia is making waves all the way over here in the UK, after a café there announced a new dish on its menu; deconstructed vegemite on toast. If you’ve been to a fancy restaurant or keep on top of culinary trends, you’ll have seen that some restaurants like to “fancy” things up a bit by serving up a certain dish in a different way; as in, exactly the same ingredients… just spread about on the plate. Core Espresso in Australia’s Newcastle (in New South Wales), serves toast, a chunk or butter and what I can only describe as a smudge of vegemite on a wooden board for the equivalent of £3.80. The internet weren’t pleased about this; they felt it was culinary experimentation gone TOO FAR (or something like that). However, the café sells it well, with the board telling the punters that the bread is sourdough, the butter is organic and the vegemite is actually a ‘side of sass’. I’d bet my bottom dollar that the café knew what it was doing with this dish; fully expecting it to get it some harmless media attention. This wasn’t about letting the customers have complete control over their spreading ratios, my friend, but rather a ploy to get some fine and dandy media attention. The fact some people think this is all a bit annoyingly hipster is by the by; plenty of others (and those living in or visiting the area) might take it for what it is and even swing by if they’re in the area to give this deconstructed vegemite on toast a whirl. The story hit all the top Australian titles and even made it into the Metro, Huffington Post, The Guardian and more. In other news, to mark the return of the sci-fi series Westworld for its second season on Now TV, the streaming service placed an ultra-realistic robot in a busy London pub and filmed customers’ reactions to his engaging conversation and odd movements. 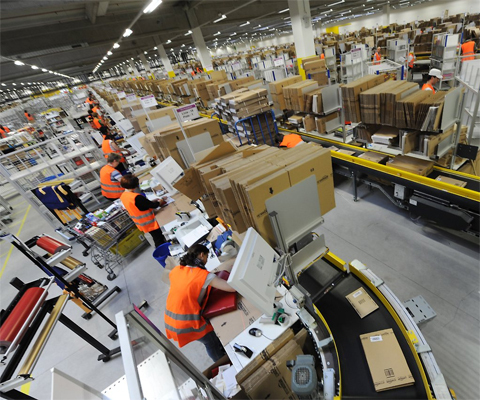 Amazon may be the go-to online retailer for those looking for fast delivery on a whole variety of goods, but it’s had some really bad press this week after working conditions of UK warehouse staff were revealed. An undercover author name James Bloodworth, writer of Hired: Six Months Undercover in Low-Wage Britain,said that employees of Amazon working in the warehouse were often too afraid to take a toilet break, because the demands made of them were too high. He claimed that some employees used bottles to pee into instead of going to the actual toilet, which was located too far away to not impact their workload. The writer also said that his experience of the warehouse in Staffordshire was that it was more like a prison or an airport than a warehouse, due to the high security which involved pat downs and security scanners. A survey by employee rights platform Organise supports the writer’s findings, as it reported that 74% of the workers at Amazon avoid using the loo in case it lands them with a warning for missing the targets set of them. It also found that more than half (55%) reported suffering from depression since working at Amazon. Amazon released a statement to say that it had not been provided with evidence that the people who completed the survey were actually Amazon employees and denied a lot of the accusations made about the company’s treatment of employees in the warehouse, particularly that they did not monitor toilet breaks (however, that wasn’t really the accusation made; it was more a fact of them being unfairly treated for not hitting increasingly unrealistic targets). For me, this has similarities to the controversy surrounding Sports Direct working conditions that circulated a few years back, which we all know was very negative press indeed. The Amazon story is no different and, whilst it’s good PR for the author’s book release, it’s bad news for the brand.